The presence of people, dogs, watercraft, and even drones, can be threatening to birds and other wildlife. They can be easily disturbed by noise, or by getting too close – even if you’re being quiet. Physical disturbance can also be caused to vital habitats, through anchoring, trampling or creating excessive wake. But there are simple things we can do to reduce disturbance – and we get to enjoy more by disturbing less. When people, dogs or vessels are too close or noisy, birds sense danger and stop feeding. Even if you stay quiet, visual disturbance can have the same effect. If disturbed, birds may leave their feeding or resting area, losing valuable feeding time and wasting energy. If they are disturbed often, they can stop visiting the area completely and some might be unable to find enough food elsewhere. Birds may not survive the winter or make their migratory journey back to their summer breeding grounds if they cannot get sufficient food and rest. Disturbance can cause wildlife to alter their usual feeding patterns and behaviour, waste valuable energy trying to escape a perceived threat or cause them to avoid areas altogether. Larger marine animals can be injured by propellers and collision with vessels. There are a number of protected habitats around the MPA that provide vital feeding and spawning (breeding) grounds for marine life and wading birds. They also perform important ecosystem functions, such as removing CO2 from the atmosphere and providing natural flood defences. But these habitats are vulnerable to the impacts of human activity around the MPA. 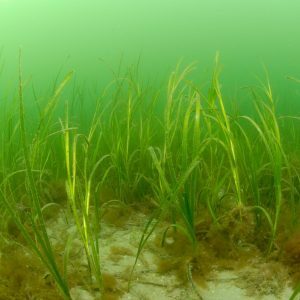 Anchoring can devastate seagrass beds, creating scour (where the chain from the anchor drags along the seabed damaging seagrass) and dragging up the seabed with the anchor. 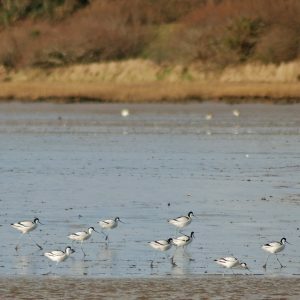 Intertidal mudflats and sandflats (that are not underwater at low tide) are rich feeding grounds for wading birds, but can be damaged by trampling or bait collecting, as well as being affected by excessive wake from passing boats. Around 80% of marine litter comes directly from land-based sources, mostly as a result of poor waste management, lack of recycling, and street litter that is blown into waterways or transported via storm drains. Marine debris can also come from lost angling line and tackle, industrial spills at sea, and loss of commercial fishing gear. Wherever it comes from, marine debris is a blight on the marine environment and can have fatal effects on marine life. Entanglement: marine creatures can become entangled in debris such as fishing line and nets (also referred to as ‘ghost nets’), plastic ring can-holders and plastic bags, which can inhibit their ability to move, cause suffocation and injury, and sometimes even death. Ingestion: many seabirds and other marine creatures have been found to have plastic and marine litter in their stomachs. Plastics can enter the food chain, and also block marine creatures’ digestive systems. Smothering: plastic bags and the like can settle on the seabed, becoming entangled in corals and kelp and blocking light, and limiting oxygen and nutrient flow, all of which are vital for the survival of precious marine ecosystems and organisms. Non-native species: marine debris can travel long distances, and non-native species can ‘hitch a ride’ from their native environments to new areas, where they can have negative impacts on local marine life. There are plenty of things you can do when you’re at home, out and about, or by or on, the water to help keep our beaches, coasts, seas and estuaries healthy and beautiful places to visit. Reduce – choose goods with less packaging, use bags-for-life, avoid single use plastics, swap plastic bags for paper ones when buying your veggies. Reuse – take a reusable coffee cup or water bottle when you’re out and about, use Tupperware for your packed lunch rather than sandwich bags or cling film. Refuse – say no to unnecessary plastic items, such as straws and bags. Don’t flush it – disposable products like wet wipes aren’t ‘flushable’, despite what their packaging may say, and can cause some rather nasty effects if you flush them. If you must use them, bin them. Take it with you – bag your rubbish / dog faeces and take it home or to the nearest public waste/recycling bin. 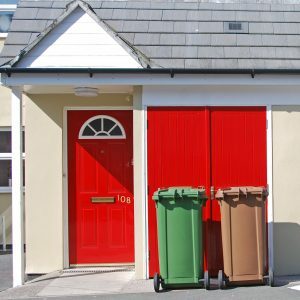 Remember: if there isn’t a public waste bin, there won’t be a rubbish collection to take it away. Mind the gulls – if bins are full, please take your rubbish home – seagulls will easily tear into plastic bags and scatter litter, which could find its way back to the shore or into their stomachs. 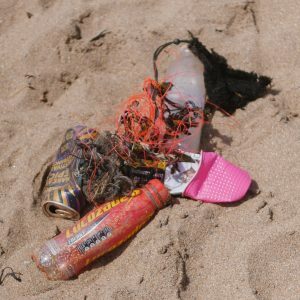 Be a clean beach champion – why not do your own mini beach/shore clean and pick up extra litter as you leave? Every piece you take away is another piece that isn’t going back into the sea and will no longer be a risk to wildlife. If you are doing a beach clean, take care and follow the #MiniBeachClean safety recommendations. Hang on to your tackle! – don’t leave angling tackle or line behind. Avoid losing tackle or line through snagging and dispose of used hooks and line correctly. Check out our Responsible Angling tips for more. At least 8 million tonnes of plastics reach the oceans each year – a number which continues to grow, and it has been estimated that there will be more plastic than fish in the ocean by 2050. The durability of plastic means it lasts for a very long time in the marine environment and never fully degrades. It continually breaks down into smaller and smaller pieces, eventually becoming what is known as ‘microplastics’, and can be carried thousands of miles on the global ocean currents – plastics have even been found in the Arctic circle. Whilst plastic is very useful for many things, reducing the amount of unnecessary single-use plastics we use every day could have a huge impact on how much actually reaches our estuaries and oceans. 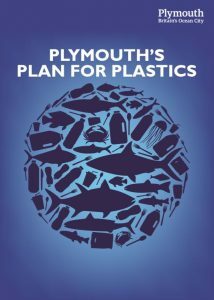 Organisations across Plymouth are working together to tackle the issue of single use plastics and plastic pollution. The Plan for Plastics will guide a citywide effort to significantly reduce our use of single use plastics by 2020 and lead work to reduce plastic use to an absolute minimum by 2034. 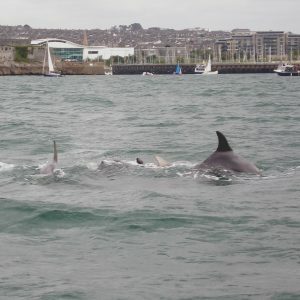 The Plan is being driven by Plymouth Britain’s Ocean City Task Force, with representatives from public bodies, environmental sector, voluntary sector, academia, industry and businesses. Pollution can be devastating to marine ecosystems and species, and these pollutants come from a vast range of sources; chemicals and oil spills from vessels and small craft, pesticides from agriculture that are transported from land to the estuaries in rain run off, anti-fouling paint, household chemicals and detergents put down sinks and drains. Even dog faeces washed into the waters can alter the delicate balance of nutrients on which marine life depends. Oil and fuel is toxic to marine life. For seabirds and fur-bearing animals, such as otters, if oil comes into contact with their feathers or fur it can stop them from being able to repel water away from their bodies and keep warm, leading to hypothermia. Only around 5% of oil and fuel pollution comes from major spills – the vast majority comes from small spills whilst refuelling and engine leaks. Phosphates are in many household detergents, gardening chemicals and other cleaning products, which often end up down the drain and back in our rivers and seas. Phosphates can lead to a reduction of oxygen in the water (known as ‘eutrophication’) suffocating marine life, and can also cause algal blooms, where excess amounts of algae make the environment inhospitable to other marine species. Antifouling paints, used on boat hulls to minimise build up of organisms such as barnacles, mussels and other invertebrates, include biocides which by their very nature, are toxic to marine life. 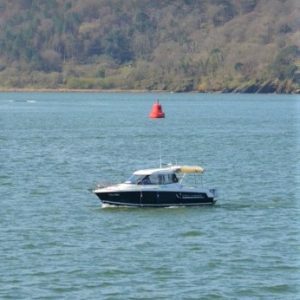 The biocides ‘leach’ into the water, but can also enter the environment during hull stripping, boat maintenance and painting. ● Oil & fuel: minimise the chance of spills by transferring oil & fuel in appropriate containers, use a fuel collar, don’t overfill and always carry a spill kit. ● Sewage discharge: only use sea toilets in the open sea and if you have to empty your tanks only do so 3 miles off-shore. Use pump-out facilities wherever possible. ● Antifoul & hull paint: prevent anti-fouling from entering the water by catching it in tarpaulin and disposing of it safely, and try to choose the lowest biocide levels for your needs. ● Cleaning your boat: use non-toxic and environmentally-friendly products, avoid chlorine, bleach and products containing phosphates. ● The Green Blue have a great guide for how to go green on board your vessel – view it online. ● Only rain down the drain: don’t throw cooking oil and fats and down the sink, toilet or drain – collect it in a non-recyclable container and throw it into solid waste, or even better – take it to be recycled. ● Remember the 3 Ps: Only pee, poo and paper down the toilet! Don’t throw household chemicals, medication and pills, or sanitary products down the loo. ● Bin it: bag and bin your dog’s poo when you’re out and about. ● Minimise: use the minimum amount of detergents, try to choose phosphate free detergents and soaps. ● Green your garden: minimise the use of pesticides, herbicides and fertilisers and never dispose of these or other chemicals down the drain. If you see a suspected pollution incident, you should report it to the Environment Agency as quickly as possible. For more information on the kinds of incidents they deal with, visit their website. 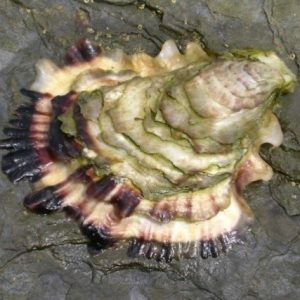 Non-native species (NNS) are species living outside of their native distributional range and are an increasing threat to the marine environment. Non-native species become ‘invasive’ (INNS) when they thrive, threatening local flora and fauna, ecosystems and natural features. 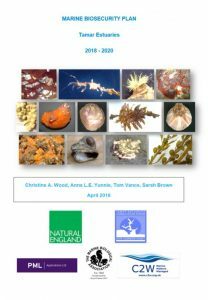 The Plymouth Sound & Tamar Estuaries have both NNS and INNS present, but there are things you can do to help prevent their spread, or the introduction of new NNS. INNS can quickly take over habitats at the expense of our native species. They can spread disease, block waterways and affect recreational activities by restricting navigation, clogging propellers and affecting local fish populations. 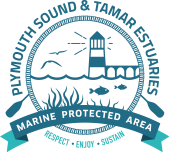 The Plymouth Sound & Tamar Estuaries Marine Protected Area is one of the first in the UK to develop a Biosecurity Plan to help prevent the spread of non-native and invasive non-native species in the area. The Plan includes details on the presence, and threat levels, of non-native species in the MPA, the protocol for reporting NNS in the area and recommended actions for commercial, regulatory and recreational users of the site to help manage the spread of NNS and INNS. Produced as part of the RAPID LIFE project, this great animation is a perfect introduction to non-native and invasive species, explaining what they are, how they get here, how they spread and things that can be done to prevent them. If you see an injured or stranded marine animal, do not approach or touch it. Please call one of the following organisations and be prepared to give your name, contact details, the location and time of the sighting, what you saw and the weather conditions at the time. BDMLR will advise what to do and get a trained medic out as soon as possible. You can also report strandings and animals in distress to the RSPCA on 0800 1234 999. UK Cetacean Strandings Investigation Programme (CIPA) investigate and document whales, dolphins and porpoises, marine turtles and basking sharks that strand around the UK coastline, including establishing cause of death. Report the stranding of a dead animal to CIPA on 0800 6520 333.